A rough week for Privateer baseball concluded with a three-game sweep at the hands of Central Arkansas over the weekend at Maestri Field. On Friday night, New Orleans got another fine outing from Bryan Warzek, as the junior southpaw threw 7 innings, allowing just 2 runs and striking out 10. 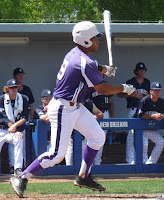 However, his team fell to 0-3 in conference games that he starts, as the UNO offense could only muster 2 runs on 10 hits, and the Privateers fell in 10 innings, 4-2. On Saturday, the Privateer pitching staff was blitzed from the outset, as starter John Michael Stephens only lasted 1 1/3 innings, and his relievers didn't fare much better. 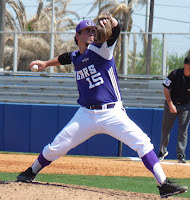 By the end of the day, UCA's output totaled 22 hits and 16 runs, and despite homers from Owen Magee, Collin Morrill, and Kenneth Yetter, UNO was never really in this one, dropping a 16-7 decision. On Sunday, the Bears' Cody Davenport tossed a complete game. Despite a New Orleans rally netting a run each in the eighth and the ninth innings, Davenport finished what he started, and UCA prevailed again 5-3. The week began with a Tuesday morning matchup at nationally ranked Ole Miss, a game UNO lost 9-4. The Privateers (9-15, 2-7) now embark on a 10-game road trip beginning Tuesday night at South Alabama and continuing with a road conference series (Thursday through Saturday) at Texas A&M-Corpus Christi.